For decades, posting a job opening was a relatively simple task­. All a recruiter had to do was share the job description across the appropriate channels and candidates came pouring in. Today, the competition for talent is fierce and writing content to advertise a job opening requires a lot more finesse. An effective job post attracts a high volume of high caliber candidates that actually click to apply to the position. Achieving this goal requires a content formula that creates love at first sight, and making the right first impression begins with proper job title keywords. But a job posting is more than just a click-worthy headline. Here's how to build an entire post with SEO (search engine optimization) and SEM (search engine marketing) in mind. Include the Job Title in the Post: This might seem obvious, but it's important to mention the actual job title in the post. In search engine lingo, the frequency with which you use a keyword is called keyword density. 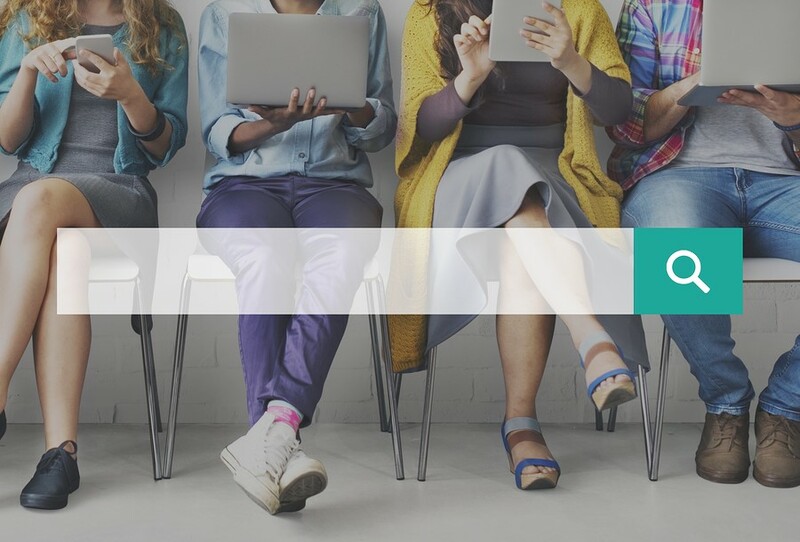 It's just one part of the very sophisticated formula that search engines (job boards included) use to understand your content and rank it accordingly. I can't tell you how many times I've read a job post that doesn't mention the job title, which is your most crucial keyword. Text that reads “this job" or “this position" simply isn't effective. Test Your Content: A simple way to check your keyword density is to create a word cloud out of your job post using a tool such as WordItOut. Take a look at which words are highlighted the most, and you might be surprised. One of my clients tried it and noticed that the most frequently used words in her job posting were "non-comformance," "all" and "product." Jobseekers would not have used those as likely keywords, and would have never come across this job posting for a "Quality Control Specialist." Be Concise: Remember that each word takes up precious real estate. Job seekers spend a maximum of 30 seconds reading a job post, and even when your post catches their attention, they then read only 20 percent of the content. The optimal word count for a job post is about 400 words or less, includes short paragraphs, bullets whenever possible, and incorporates headings with keywords. Sell the Brand: Because attention spans are short, your content must demonstrate what the jobseeker will gain by working for your company—and quickly. The first paragraph should be a brief description of the job, followed by a few words about your company culture. Next, list the compensation, benefits, and perks that makes your brand attractive. Include the essential and minimum requirements for the job. Finally, close the posting with how to apply, especially if you offer multiple application routes. Motivate and Engage: Write like the candidate who is reading your job posting is the only candidate that matters. Most job ads are pretty bland. Have some fun with the description. Tell a story. Don't use phrases like “the successful candidate will …" It's generic and a turnoff. Write "here's how one employee described the job." Or, get even more creative with your approach. Schedule a competition for interested candidates, embed a test or schedule a virtual job fair. Show, Don't Tell: People retain 65 percent of what they watch, but only 16 percent of what they read. Visuals increase readership by up to 80 percent, and video content is shared 1200 percent more than text and images combined. Increase your job posting engagement with multimedia—record short videos of employees in action or managers describing the job, post them to YouTube, and embed or link to them in your posting. The race for talent is on. Companies are investing wisely in employment branding and in improving the candidate experience. But the first step to becoming a savvy recruiter is to get your job opportunity in front of more eyeballs. Following basic SEO and SEM practices when creating your job posts is an inexpensive but highly effective recruitment strategy but only one piece of the puzzle. To learn more about Recruiting in the Age of Googlization, watch our recent webinar with Ira S. Wolfe called Workforce 2020 – Get Ready Now! Watch. This webinar is valid for 1 PDC toward SHRM-CP and SHRM-SCP recertification. This webinar has also been submitted to HRCI for credit and is pending approval. Ira S. Wolfe is a nationally recognized thought leader in talent management and an expert in pre-employment assessment testing, workforce trends, and social media. Wolfe is president of Success Performance Solutions (www.successperformancesolutions.com/), a pre-employment and leadership testing firm he founded in 1996. He is the author of several books, including Recruiting in the Age of Googlization. He can be reached at iwolfe@super-solutions.com.